As a 17-1/2 year veteran in law enforcement I've seen and done nearly everything that my profession entails. There's been a lot of back and forth on the whole "wearing body cameras" argument and I think I have some insight to share. I'll begin with my debate position. 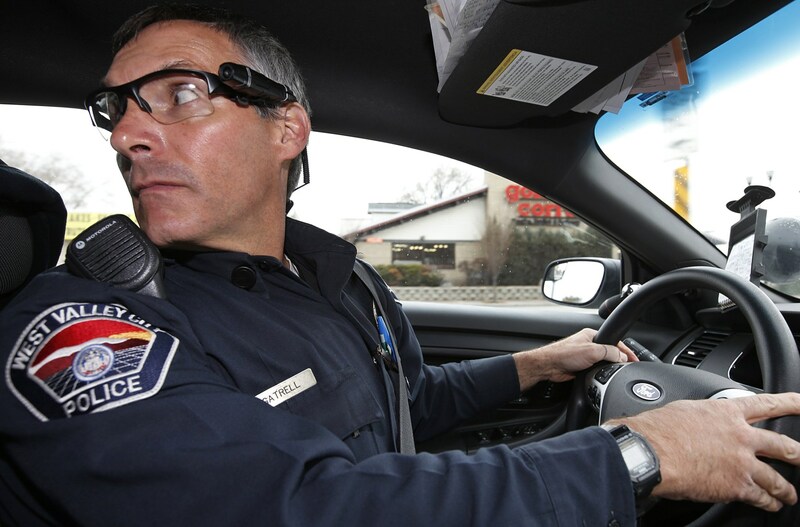 All law enforcement officers need to be wearing body cameras when on-duty in the field. ALL law enforcement officers. This means every FBI, DEA, ATF, Sheriff's deputies, State troopers, detectives and officers. Notice I said "when on-duty AND in the field" because its an important factor. There's really no arguable reason clerical and desk officers or those in the precincts and stations to be required to have their actions recorded. Now I get flack from some of my fellow boys in blue when they hear my position. Oh well. Reality is a person in law enforcement is given powers that civilians don't have. We are given the authority to pull over, detain, search (obviously with cause) and even use force against someone we believe is a threat. Sure a civilian can -- but it's part of our job description and what we train for. So with this authority we are held to a higher standard. We need to be able to justify are actions in the eyes of the public we are supposedly serving. There's a lot of trash talking being thrown at our profession. A very small part of it is warranted. The overwhelming majority is nothing more than hype served to benefit those groups and organizations that gain at our being slandered and vilified. Regardless, that body camera is our protection from the dreaded "he said/she said" here say. Years ago it wasn't as much a concern as there was a prevailing respect between the public and the police. While I feel it is still prevailing there is a hyper active dissenting and often times violent or self-seeking minority that would love to paint us all as evil, racist, trigger-happy clansmen just waiting for the opportunity to kill any "colored" person we can. Of course, they are ignorantly unaware of the emotional trauma and psychological impact it has on an officer who has had to take a life (any life because all lives matter) in the line of duty. This is why the body camera is critical. I know that my actions on the job are beyond reproach. I am fair, firm, thorough and respectful to any person I encounter. At the same time I am prepared and ready should any situation devolve into something we train for. So during the 99.99% of my routine "on-duty and in the field" work that camera is recording nothing of interest and harms me in no way whatsoever. I don't care about my alleged invasion of privacy since I'm working at my job and not in my personal life. But for the 00.01% of my "on-duty and in the field" work that may become an accusation of police brutality, sexual misconduct, unwarranted search or detainment, or, god-forbid, a moment I have to fire my service weapon -- then I will thank the heavens to have an impartial, videographic documentation of my actions and those around me to prove that I, and my actions, were beyond reproach. So let's work together to make sure every law enforcement officer has the benefit of an up-to-date, functioning body camera. And to those officers who argue so hard about invasion of privacy, I'll be completely honest. My radar buzzes and warning signals fire -- wondering what you are doing while "on duty and in the field" that you are so afraid of having documented. My advice is to get over it -- or find another line of work that doesn't entail plenary powers or public trust. SIDE NOTE: I think the best cameras are the one's that follow the officer's eye sight (head worn). Of course there are legitimate complaints about discomfort, unwieldy, awkward. A priority should be made to further improve the technology and wearability of this tech as too often body cameras situated on the chest miss critical details more often than head worn units. Totally agree and support you brother. As a volunteer firefighter I believe we should have cameras on during operations as well. I'll admit its a little for the thrill of seeing the action after we survive the ordeal. But from another standpoint you'd be amazed how much information can be gathered watching the footage afterwards. Heck, even catching a bit of footage that helps the investigator determine cause.